The Glacier Bay Dual Mount Stainless Steel 31.5x20.5x10 Single Bowl welded Kitchen Sink is sharp and sleek with a contemporary design. Durably handcrafted with 18-gauge premium 304 series stainless steel, the multi-layer undercoating significantly reduces noise when the sink is in use and prevents condensation. The stainless steel design complements many decor styles and the flexibility of either top or under-mount installation allows for simple integration into your kitchen design. Easy to install with mounting hardware included. Limited Lifetime Warranty. Capri Series Undermount Stainless Steel 31.5 inch Single Bowl Kitchen Sink in Satin Finish Function and simplicity combined result in Ancona's Capri Series Undermount Single Bowl Kitchen Sink, the ideal addition to stylize any kitchen. 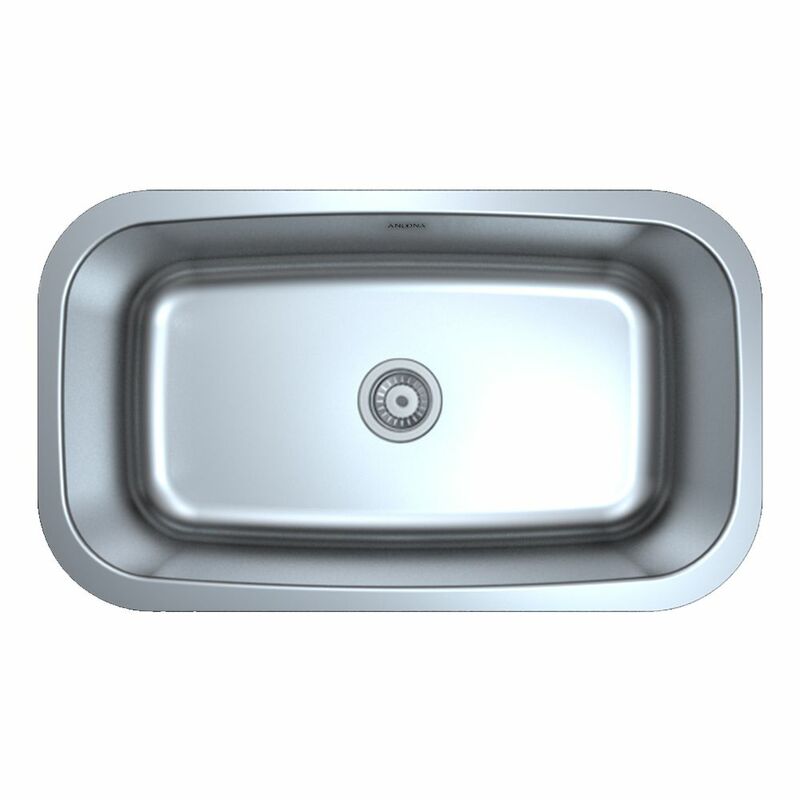 Elongated and elegant, this undermount sink features an ample 29 inch bowl, perfect for all household cleaning tasks. Accommodating to most counters and cabinets, the middle position drain allows better distribution and flow of sink. Fabricated in stainless steel, its satin finish and subtle curves blends into any kitchen arrangement, while adding a beautiful and reliable construction to your home.